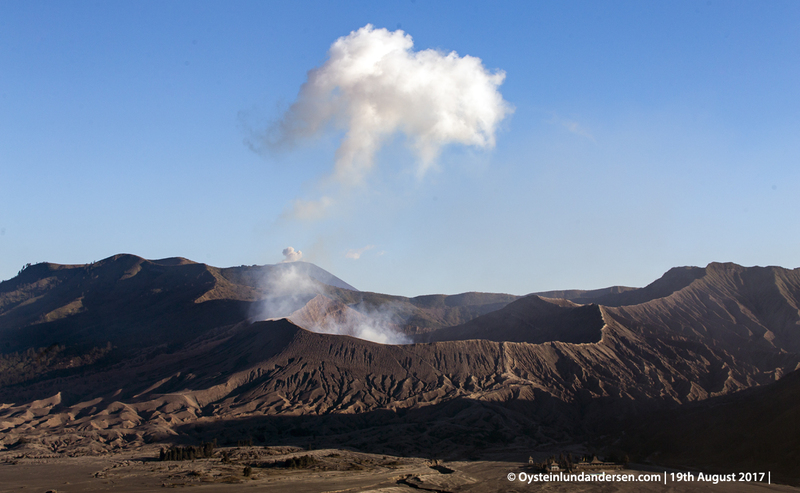 During my visit at Bromo in August, Bromo was seen emitting a weak degassing plume. Rumbling sounds could be heard from the crater, as far as 2km from the volcano. No ash emission seen during the visit. 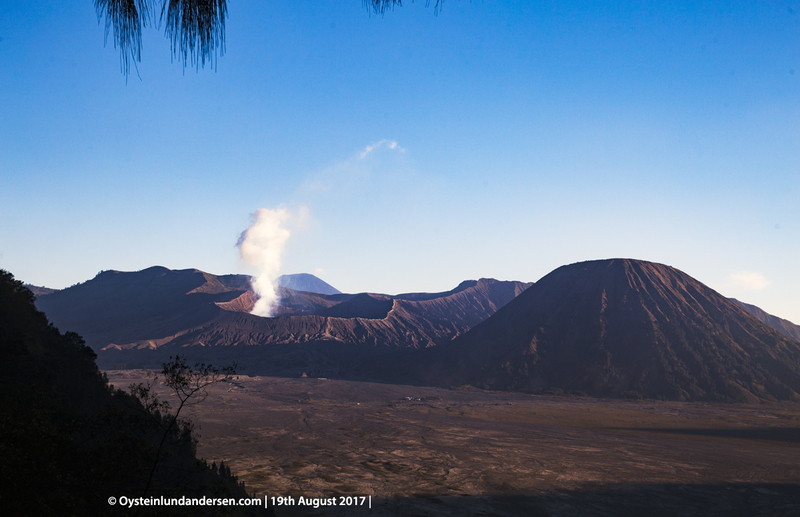 The latest eruptive phase of Bromo started in December 2015, and lasted until the last weeks of November 2016. Photos: 3 available in this article. in format/size: RAW/DNG. More than 50 photos other photos not posted online. 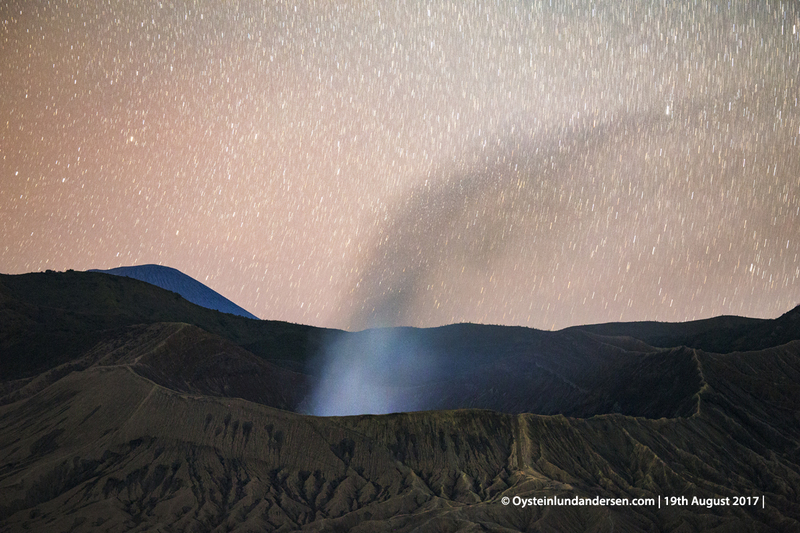 Bromo emitting a gas plume, and Semeru Volcano having a small eruption in the background.